I am often puzzled by the things theologians say about “righteousness.” First, there are a striking number of different treatments. That alone should tell anyone that we are standing on the ground of “theory” rather than knowledge when we hear pronouncements about the word. It is, of course, an important word. “Seek first the Kingdom of God and its righteousness…,” Christ commands in the Sermon on the Mount. I think I know what that means to a Lutheran or an Evangelical. I know what it means to NT Wright. But, none of what I see in them really makes a lot of sense in the context of the Sermon on the Mount. I am going to suggest something different. You may, of course, consider this just one more theory. So be it. There is a great theme of righteousness in the Old Testament. To a certain extent, it can be described as a “proper balance,” or “things being in their right place, order and amount.” Most of the judgments that concerned normal people in their daily lives (apart from matters of ritual) were oriented around property, income, debt, and daily needs. The great “engine” of the Israelite economy (according to the Law) was the Law of the Sabbath and the Jubilee Year. If we look at a simple rule we can see this in play. “Do not muzzle an ox who is treading out the grain.” It means, if your ox is being used to drive the mill wheel that is grinding the wheat, you may not prevent them from having some opportunity to munch the wheat that is falling at their feet. Why? It’s quite simple. You have a lot of wheat, and you shouldn’t begrudge an animal a small share. After all, it’s that animal’s sweat that is making your grain palatable. To greedily prevent the animal from its share is unrighteous. It is an improper balance and exploitation of a beast. This, of course, is an example that involves only an animal. But the principle is constant throughout the Law and the Prophets. The Jubilee cancels debts and restores the land to its proper owner (and this is a “righteous” judgment). These are all cases of people who live in a deficit (while others live in a surfeit). When the Kingdom is made manifest, things are set right: its righteousness is made manifest. But its coming is of a supernatural character. There is a moral component: we are taught to behave in a manner towards others that “sets things right.” We are told to do to others what we would want to be done to us. And then, because of the abundance of the Kingdom, we are told to do more than that. We give even to those who will not give in return. This is righteousness. There is an inner righteousness. For the Kingdom of God is not a mere set of moral actions. It is also an inner transformation, where we not only “do” righteousness, but “become” righteous. That inner work is also the “setting right” of things. We were created in the image and likeness of God, but have become debtors to sin. Spiritually, we have become poor and are unable to overcome our hateful sin-master. God’s gift to us becomes an abiding Jubilee, abolishing the debt of sin and restoring us to our right place before Him. However we might think of righteousness (perhaps as the Divine Energies), it has this characteristic of “setting right,” of putting things back in their proper place. Human beings were created to be the very image of God, but became enslaved to sin. In the pattern of our salvation, the Rich became poor, that we (the poor) might become rich. God became what we are that we might become what He is. His righteousness is His love. What Do Words Mean in a One-Storey Universe? Father, thank you. How does one fast from anger and suspiciousness? My suggestion would be to work at giving thanks…everywhere and for all things. Good points Father, it seems to me that, “righteousness” and “justice” have similar meanings. Not so much a judicial, forensic, legal status as a “putting things right again a Harmony”. I have seen N.T. Wright say similar things about the “Kingdom of God”. I think about this when I see the “Red Shirts”, from your Star trek analogy, one thing that becomes clear is if I see red shirts, I most certainly am seeing my brokenness, the failure of being “successful” the humiliated me in them, it helps me see how I look before our Loving and merciful God. When I feel an irriation about being put out about being a friend to sinners, and with God’s help it is overcome,I am really being a friend to Christ my brother who is fed, visited in prison, clothed from the nakedness, given medicine for sickness Etc. This all occurs in me through them to Christ!! May it always be so, grant this oh Lord for us all!!! Thank you for another wonderful and clarifying post, Fr. Stephen! In seminary the ELCA teaches that righteousness is to be in right relationship to God and creation. So your ‘proper balance’ is just what we Lutheran clergy teach our parishioners. What they personally believe is an open question. Father, if you wouldn’t mind sharing the name of program you watched, I would be interested in seeing it. “If you abstain from food while your sight lures you into adultery, inquisitiveness and malice in the hidden place of your soul, your hearing is open to insulting words, lewd songs and evil slanders, and your other senses are open to whatever harms them, what is the benefit of your fasting? St. John Chrysostom speaks in more detail here: http://www.orthodoxchurchquotes.com/2014/03/02/st-john-chrysostom-for-the-value-of-fasting-consists-not-in-abstinence-from-food-but-in-withdrawing-from-sinful-practices/. I think the problem with “right relationship” is that it’s extremely ill-defined. “Relationship” itself is a sort of psycho-babble term in our culture. I’m not sure that it’s entirely correct to say we have a “relationship” with God (it more or less seems to mean ‘how we think about each other’). This sense of balance – has more to do with surfeit and deficit – not things we think of at all. It is important, I think, to move the discussion out of psychology (or psychology disguised as ‘spirituality’). I find this absolutely fascinating. Yesterday I had written to our youngest son about the Jubilee in terms of forgiving debts and starting over as an option among his friends. I was taken aback to later see your post. What is most profound to me is how you describe the Gospel as a kind of Cosmic Jubilee…the Grand Restart. In this Cosmic Jubilee, the Rich becoming poor so that the poor can become Rich : God becoming Man so that Man can become like God. Thank you. My revised standard says “seek first the kingdom of God and his righteousness. Not “its”. Jesus is Identifying himself self not only as king but also the kingdom. I often think of Boaz when I think of the righteous man. He was generous, kind, open with his workers and his neighbors. And then he was tested – would he give up his own name to perpetuate his kinsman’s inheritance? Like the Theotokos, he said Yes. The nearer redeemer said No, and his name is lost – omitted from sacred writ. The name of Boaz, who gave up his own firstborn, is held in honor – kept forever in the book of Ruth and in the genealogy of Jesus. This also gets to the right notions of “prosperity”. Boaz was prosperous, and just. God may well give us large harvests – if so, let the poor come and eat. God may well give us property – if so, let the poor come and stay there (I just finished “Father Arseny”, and I am thinking here of Nadezdha Petrovna – she could afford to house, feed, and shield Fr. Arseny, even paying the bribes to the police for him – her prosperity was a blessing, rightly used). Thank you, Father, for your thoughts, they are always a blessing. Mark M.: I too finished reading Father Arseny and your comment about Nadezhda Petrovna is on point. I wish that those types of relationships would happen today. If they did, so many people would be helped and nourished along the way. In the description that Protestants use for righteousness, involving ‘relationship ‘, do I understand correctly that there seems to me to be a connotation or a link with the idea that once someone considers themselves ‘saved’ (declaring their belief in Jesus), that their self described condition is considered sufficient to be called ‘righteous’, implying a particular ‘inner’ status with God, with their declaration.? And in the Orthodox Way, declaring oneself as ‘saved’ and/or ‘righteous’ is insufficient, perhaps even presumptuous.? For me even the self-described declaration as ‘relationship with God’, is hard to understand. We called it “imputed righteousness” and was taught through the lens of “once saved always saved”. I do not know if every single Protestant sect teaches these things…but many do. Not all Protestants believe in “once saved always saved.” Methodists, Anabaptists, some Baptists, Seventh Day Adventists, Pentecostals, and others believe that God’s grace can be resisted and that one may fall from grace. This teaching is known as Arminianism and is based on theological ideas of the Dutch Reformed theologian Jacobus Arminius. Most people in our culture view their reality in psychological terms. “How are you doing?” generally means, “What’s your mood lately.” The language of “relationship” (which does not date back further than the 1940’s) is mostly about psychologically understood relations with people (the word came from psychology). “I have a personal relationship with Jesus Christ,” is an extremely modern expression which would have been unintelligible to the tradition not all that long ago. And that psychological “thing” is considered by most people to be more important than Baptism or the Eucharist. I could go on. Much of what people mean by “spirituality” is about their psyche and how it perceives things – i.e. – it’s largely imaginary. So, people ignore the commandments of Christ, but feel really good about their “relationship” with Him. We’re a very delusional culture. The expression of “relationship with God” dates back only to the 1940’s. It was drawn from the psycho-babble of the time. 19th century Evangelical thought turned a largely psychological/emotional experience of “conversion” into a new definition of “born-again” (which had always been understood to mean Baptism). It was the beginning of the modern psychologization of Christianity. The tradition uses very different language. Sacraments, true participation (koinonia), in which His life becomes mine as mine becomes His, etc. This is the language of the tradition and is much more concrete. In the sloppy psychology of our times, “good works” are seen as unnecessary while “feelings” are what saves. It’s mere sentimentality. This suggests that we are in relationship with God but not fully “right” relationship (to borrow the phrase of our Lutheran friends). I cannot be in right relationship to God without being in right relationship with my neighbor – or vice versa. Although I am Catholic, my first job when I graduated from college 40 years ago was with a program started by Lutheran Metropolitan Ministries (LMM) in Cleveland. I was working for a program that provided personal support and assistance to ex-offenders – with their church members swelling the ranks of volunteers who performed this ministry. LMM now operates the largest men’s homeless shelter in the state of Ohio, serving as many as 350 men per night – in addition to their many other vital ministries. It was through LMM that I first heard the term “right relationship”. I didn’t have to ask them what they meant. It was evident in the lives they led. In the midst of so much “wrong relationship” in our world, they were (and are) living a different way, the Way. Seeing their neighbor in “deficit”, they immediately set to work applying their “surfeit”. This not to say, of course, that living the Gospel is synonymous with starting social service programs. Whether we are talking about Lutherans or psychologists, it is only when Christ is alive in our hearts, touching the suffering people around us, that healing and salvation comes to those deemed “lepers” by our culture. One way I think I understand this is that the term ‘relationship’ is a somewhat modern one that has not been quite adopted for very long at all as vocabulary of the Church Tradition in the way words such as ‘union’, ‘encounter’, ‘partaking’ etc. have. It therefore tends to point to a solely psychological and secular leaning interpretation of itself unlike the more theological and genuinely spirit-leaning other terms. I am not attributing the problems of the culture to psychology. I am (again) critiquing the lens (especially the popular lens) of psychological thinking as a means of understanding the world. Psychology, rightly practiced, is a useful and helpful tool. However, when extended beyond its therapeutic bounds into a metaphor for almost everything (including God), it is deeply distorting. I respect psychology and use psychologists, both personally and professionally. That is a completely different matter than understanding the culture as overly-psychologized and the distortion of theology through our modern obsession with pop-psychology. It is good to speak in the language of the culture – but I (in these writings) push back again and again against language that we use unconsciously without ever once considering where the words come from – how the words themselves shape our concepts, etc. If the Tradition spoke for 1900 years without saying “personal relationship” and we can barely imagine another way of saying it – then the term needs to be poked at, explored, dismantled, considered and examined carefully. For heaven’s sake, Freud was deeply influential on popular culture in the first part of the 20th century – and his ideas, terms and models of the human mind were almost all wrong and have long since been left behind. And yet, those terms remain in the popular vocabulary. Much of pop psychology is the source of New Age nonsense. The psyche is real and must be talked about and properly treated. But we are right to critique its misuse and abuse and its distortion of culture and theology. It is, of course, possible to use the term “right relationship” with a very Traditional nuance (which is the case for Met. Kallistos Ware). Of course, “right relationship” and “personal relationship” are two very different phrases. Both can be used well or poorly. However, this might be one of the few places on the internet where you’ll ever hear anyone criticize the language of relationship. It is a tiny voice suggesting that we should stop and think about what we’re saying and see if that’s really what we want to say. Thank you for ‘exploring, dismantling, considering and examining’ not only words we use but every insane thing that lurks in our culture we are so very blindly caught up in. Thank you for this “tiny voice” which speaks so loud. BTW, I get what you’re saying about “over-psychologization” and the overshadowing of sentimentality. I can not express it, but I know it is a problem, because I battle that very thing. It is somehow intertwined with selfishness, individualism…the lack of true, full communion with God and creation. And I wouldn’t have had a clue if it were not for our Tradition. So thank you Father for ever pointing us in the right direction. There’s not many places to go out there for such thorough counsel. Father, some Orthodox writers seem to imply that the Holy Spirit can come and go in our life, as if He’s jumping in and out of us. This has bothered me. I can understand grieving the Holy Spirit when we sin, and having the sweet communion with Christ broken until we repent. But as believers we are sealed with the Holy Spirit at baptism, as believers we are temples of the Holy Spirit. Any thoughts or clarification? I always appreciate you, Fr. Stephen, and the clear manner in which you teach. Words can be very powerful instruments for the good and I certainly agree that some become so broadly or poorly used that they cease to have clear meaning. “Relationship” is not a meaningless term but it is so broad that it readily loses sufficient specificity to be very useful; “a connection or association” can be between you and I, between trees in the forest, the sun and the earth or variables in an equation. The notion of a “personal relationship” with God has some value only in noting that God is Person (not just an idea or some other abstraction) and that we are both able and intended to be connected to Him, person to Person. For we who believe, of course, this description falls woefully short of describing that for which God created us. Virtually all fields of study, from physics to theology, have been co-opted in some way when efforts are made to “popularize” them. We humans, in our sinful pride, readily declare ourselves “experts” on topics about which we actually know very little. In this age of information (and pseudo-information), this tendency has gone to the extreme. It is too easy for us to think that because I read/heard it, it must be true – and now I can repeat it and impress others. When I have been in conversations in which such terms were used, such as ‘personal relationship with God’ or similar terms (right relationship) in the past, it was usually in a context in which someone (most often a Protestant Christian) was attempting to delineate my ‘place’ in the world, relative to theirs, and to justify this thinking through their self-perceived self-‘righteousness’. The speech appeared to be a form of critique of people whom they would categorize as not having ‘such relationship’ and at the same time, imbue themselves with self-importance. In the general use of the word ‘relationship’ in this culture, the usage seems to come up in record keeping and social structure analysis. I have applied the word most often myself when I taught calculus in the context of chemistry classes. In that context, the application of the word in an equation (something like: ‘the relationship between x and y relative to z’) was not questioned. I wouldn’t use the word to describe my marriage to my husband of 30 years. But, I can envision that if I were sitting in a psychologist’s (or psychiatrist’s) office, questions might be raised about “my relationship” with my husband, if we were experiencing marriage difficulties. In this case, the practitioner would be asking about ‘how we get along’, or what circumstances might prompt altercations, at least that’s my interpretation. The breadth of such use and the typical contexts would not readily suggest to me an Orthodox understanding, to me, regarding faith. Therefore I was I was a bit surprised that Mary read something in Met Kallistos Ware’s book that I would have difficulty understanding (or appreciating), if it were referencing a typical application of a Protestant meaning. Since I wasn’t indoctrinated in Christological thinking of any stripe when I first read this book some years back, it’s possible I wouldn’t have read such meaning into it in the first place. After Mary’s comment, I was curious and re-read the prologue and that first chapter again just to see how it might read now, after I’ve lived about 3 years of life in the ‘Orthodox Way’. What I first noticed is that Met Kallistos Ware’s approach is intended specifically for introducing someone to Orthodoxy. It is quite apparent it isn’t written for someone who has more familiarity (although that doesn’t mean it isn’t interesting and edifying to read just the same). For that audience who lacks such familiarity, he appears to be careful to attempt to use a language that is in use among his audience and at the same time, attempts to draw the audience into a ‘more Orthodox’ understanding of that usage. In other words, he appears to be primarily writing for someone, thinking about Orthodox life, not necessarily for one living that life (unless they are looking for ways to talk about their life with others outside the faith). Also, it seems for the purposes of reaching a wider audience, he frequently includes quotes from many sources outside the Orthodox faith, to elaborate on the ideas he’s presenting. The quote Mary provided comes out of a chapter about “God as Mystery”, under a subheading, “Faith in God as Person”. And I provide here a few more quotes to tease out more of his meaning. I shall add to this quote my own interpretation of the phrase “all things are there”, which is that this describes the life of the “heart” of *every* person, even before ‘the “second coming” of Christ, (Fr Stephen or others please correct as needed), which again, are not words I typically hear from either Protestants nor Catholics. Last, on the word “relationship”: Met Ware elaborates on this term and attempts to infuse it with an ‘Orthodox tone’ using an Orthodox context, in which he references the *Orthodox Tradition*, describing the essence of God and the energies of God. This time he quotes St Athanasius, “He is outside all things according to his essence”, writes St Athanasius, “but he is in all things through his acts of power.” “We know the essence through the energy”, St Basil affirms. “No one has ever seen the essence of God, but we believe in the essence because we experience the energy”. Met Kallistos Ware in the next paragraph writes: When Orthodox speak of divine energies, they do not mean by this an emanation from God, an “intermediary” between God and man, or a “thing” or a “gift” that God bestows. On the contrary, the energies are God himself in his activity and self-manifestation. When a man knows or participates in the divine energies, he truly knows or participates in God himself, so far as this is possible for a created being. But God is God, and we are human; and so, he possesses us, we cannot in the same way possess him. Last my interpretation: God’s energy is in all creation: sinner, saint, believer, unbeliever. (Fr Stephen please correct as needed). I definitely didn’t get what I would call a Protestant nor Catholic understanding from this presentation, when I first read it, nor do I now, as an Orthodox Christian. I found this article and comment steam helpful to my understanding and I’m grateful for all who participated in it. I have shared this article before. It is the best description of the error of individualism, and how it is *The Lie*. The Lie that the serpent convinced Eve of, that we can accomplish anything without God… That we can be gods without God…. 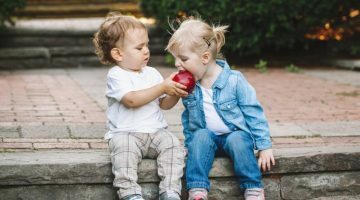 First, thank you for the link to Dr. Clark Carlton’s article…I came across it in another link you gave when we were discussing ‘love vs attachment’. It is a great and thorough article…a keeper. About the strangeness of the Protestant version of a “personal relationship” with God…can you imagine how strange it seems to the ears of unbelievers when asked if they have one? And if they are kind enough to indulge the imposition, they undoubtedly become further puzzled upon hearing how simple it is by just asking Jesus into their heart. It just doesn’t make sense…to “ask God” as if we were in total control of being “saved”. Indeed, “sin is the free choice of individual autonomy”! It has been said many times here by Father, that this kind of theology can easily lead to atheism. I can see why. I agree very much! To me that (“ask God and you are saved”) is the most presumptuous part, to ask and assume that it is done! We would not do that with any human person, would we? Question: Mother, should we expect our feelings toward the other person to be reciprocated? Answer: Love, as taught by Christ for the first time, is offered without expecting anything in return. This is the great, the vast difference. In this Love, the Ego no longer exists. Our own self ceases to be. We give our love to the other person, as we receive it from God, without any thought as to what [the other] does with it. Question: You mean the way Christ loved? Answer: Exactly… All persons of God love this way. They do not love because they expect something in return from the one they love; they love because if you cease loving, you cease living. Those who have not felt that, have not felt the Joy of God at all. Not at all… because they are concerned only with themselves, all the time… [They say], “I love this person so much and he does not reciprocate my feelings. I did so many sacrifices for him…” You hear such nonsense so often! It has nothing to do with Love according to God, which comes from the Source of Love, goes to the other [through you], and returns to the Source. Who am I to expect and wonder whether the other person loves me or not? Do we feel in union with God? What else do we want? This is our sole purpose in life! ~Mother Gavrilia, The Ascetic of Love, p. 302-303. Agata – I think the only True Love is Unconditional Love. Human “love” is almost always based on conditions of one sort or another. Everyone’s conditions that they require of us in order for them to be able to love us will be different and if we try to make ourselves loveable by meeting their conditions, we will inevitably fail. The only Person we shoukd try to please with our thoughts, words, and deeds is God’s. And while we will likely fail at this endeavor also, at least we know the conditions (following His commandmants) required to please Him are righteous and worthy of our efforts. With human persons, we cannot stand on our heads in enough different ways to keep them happy. 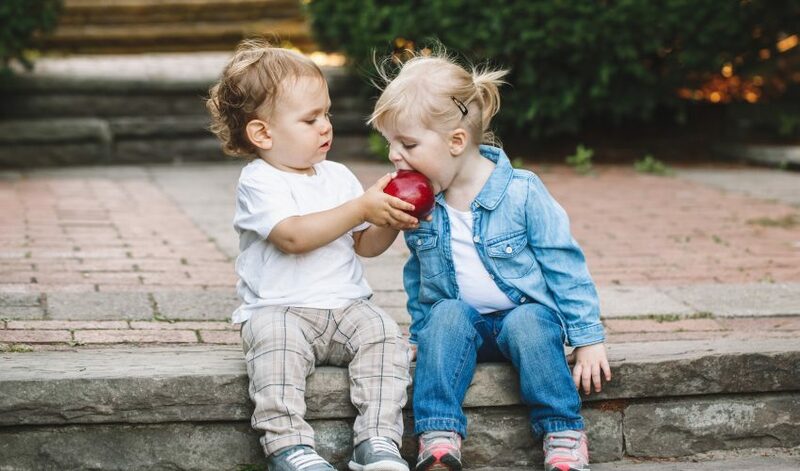 If, however, we make pleasing God our primary goal, then we will always be “loveable” according to the criteria of God, even if others in our lives are unable to see us that way. Please forgive me if the quote I shared or my words have pained you. That was not my i tention, but I have often been told I come across as quite blunt and this can be easily misinterpreted as a criticism. Just for the record. I do not gloss over the differences between Orthodoxy and Rome. I do, however, choose when and where and how to address those issues. I certainly do not feel obliged everytime I’m in conversation with a Roman Catholic to engage them in debate. This article was and is an inappropriate place to deal with this question. My own views on ecumenism are well-documented on this blog (I am about as far from being an “ecumenist” as possible). But not every conversation is appropriate all the time and every place. Agata – I also meant to say that the only One Who is capable of True Unconditional Love is God (dogs are a close second!). If we somehow manage to feel and offer this real love to another person, then that is because God has given us His grace to share His love. And while we should certainly give our best effort to follow His commandments, He loves us no matter how many times we fall flat on our face. I agree wholeheartedly with everything you said so beautifully ! And I did not take any of it as criticism, far from it. I love the reminders about how the Saints understand everything so much deeper than I ever will. Their words are true inspiration. So thank you very much for sharing Mother Gavrilia and your own thoughts. You always have a reference of some kind that fits the conversation! I appreciate that. …only to find a “knowing” which leads to a godly fear and reverence that can hardly be called a “relationship” such as one would have with a fellow human being. I think the Orthodox doctrine on the Trinity, of Jesus’ divine and human nature, and most of all the Eucharist is enough to render the term “relationship” inadequate. Anyway, thank you Agata…good thoughts! As is not unusual in a blog, I did not see Esmee’s comments until after I posted. (I’m tired tonight and it took me a while to gather my thoughts!). Thank you Esmee for taking further the discussion on true love…unconditional love. My response was a focus on human love, as Agata pointed out, and the use of the word ‘relationship’. But you are right, we are called to possess a Christian love, And by the way, I love (!) your comment about the dogs 🙂 ! Especially this past year, I’ve really begun to see how some of the “strains” or lineages within Orthodoxy, such as the Romanidian strain, are not really the alternatives they purport to be. Without going into too much on any one of those strains themselves, though, I am still trying to answer two questions that have eluded me for many years. They were, in large part, the foundation and subject of one of my largest web projects (which I learned a lot from, though not the things I expected to, and haven’t worked much on in a long time). The first is how do we speak of humans? “Person” is a bit imprecise, because we are more persons-in-becoming or potential persons, as I understand from the Silouan–Sophrony–Zacharias line. “Being” works, but that can refer to other creatures, at least as far as I have heard language used, and doesn’t point so directly to the special gift given to mankind. “Instantiation” works too, but that is a bit unwieldy of a term on top of inheriting most of the problems with the word “being”. The second question is about communion between us. How can we speak of that? I never want to downplay The Eucharist, of course, so I would hope there are some other ways to describe what we share between us, beyond just that which we share due to our one human nature. Putting these two questions into a single idea, I chose the phrase “personal communion” many, many years ago. But as vague and recent as that kind of language is, there is something that feels very “safe” in it and I can’t think of any alternatives that can bring together both the breadth and depth of what we’re getting at when we talk of how humans are to exist towards each other. Any alternatives, or ideas to “chew” on, would be much appreciated, Father. Agata, I’m glad the info on site-restricted searches was so helpful to you; it is kind of you to remember me. 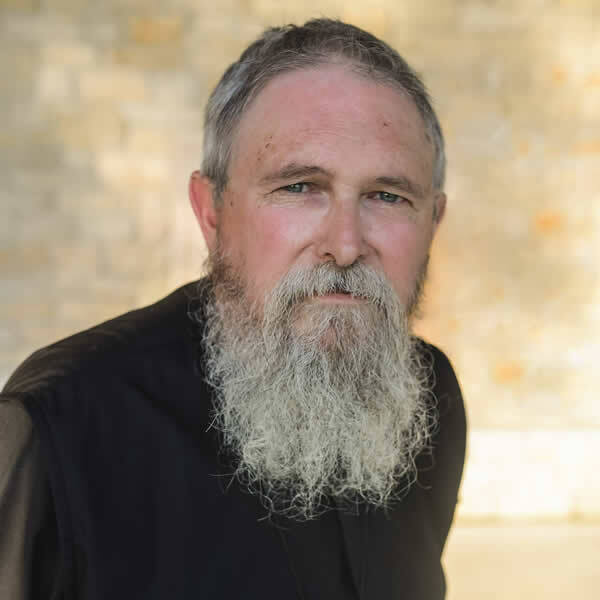 Thank you also for the link to Dr. Clark Carlton’s story of coming to Orthodoxy. I have learned a great deal from his “Faith and Philosophy” podcast series; and now, reading his story, I see a great deal of similarity between his Baptist experience and my Evangelical one—except that he came to the Orthodox Church some 20 years sooner than I did. I appreciate your reflections, as they always offer the opportunity to go deeper into the subject at hand. Many times, or rather most of the time, I conclude much earlier than many here who ‘delve’. So I suppose I am doing this now with the concept of ‘person’. So, your choice to use the phrase “personal communion” to describe our existence together works for me. Yet I am still mindful that “existence”, “personhood”, and such are very difficult to describe with words. It sure has kept philosophers busy for centuries on end! But I think our Fathers nailed it best. Still, I appreciate those here who ‘flesh out’ subjects we talk about, in search of understanding the depths of the knowledge of God. It is more than having an ‘inquiring mind’. It is part of that movement to greater communion with God and others. It is done with a teachable spirit…questioning rather than refuting. This is so much better than unfruitful debates, as Father mentioned above. So where I stop short, others elaborate further, and it is a great help…even if I can’t comprehend fully. So having said that, JBT, I’m not sure if I even understand fully your thoughts (I’m sure I don’t! ), but I appreciate them! Yesterday I spent half an hour writing a response to your first post. I do these by phone. Well, after written, I hit the wrong tiny key and it vanished into cyberspace! Probably best. One of the questions I had was whether you were now Orthodox. Couldn’t tell from the first posting. Happy you are. I relate with everything you said about evangelicals and their kindness and love for Christ. It was through them I learned of His love for me. Yet there is a seismic shift required in moving from one to the other. Fullness of faith is found in Orthodoxy. For me it grows more precious everyday. Just desire that there wasn’t this disconnect or glazed eye syndrome when I attempt to speak to evangelicals about the Ancient Church. Some few listen, however. For that I am grateful. One of the great problems on the way to Nicea and afterwards is the concept of human being and the Divine as persons. The first struggle was to find a word that did not have other definitions that caused confusion. The debate set the stage for the schism between the Oriental and Nicean Orthodox. A second problem is that the definition of person was never finished and accepted. There are today literally hundreds of definitions or more and none of them are complete or accurate. This is how Roe V. Wade became Case Law. JBT, this is why you have not found anything because is like chasing fairy dust. Communion has multiple meanings as well especially in different Christian Faith traditions. Its linked with Community as well which I always thought before I became Orthodox had nothing to do with Communion. To me I can see communion as a common union and community is a group of common unity. There two questions are important and far great minds than mind need to address them, especially to find a good definition of a person. Yes. People forget that the Conciliar definitions were often more about what we were not saying than they were about what we were. We speak “mysteries” and certain words, such as Person or Hypostasis are signifiers more than they are explanatory. I can, with some assurance, say that “person” and “personal” in theological understanding are not at all the same thing we mean by those terms in popular speech. For me, pondering the word “person” in theology is as much a matter of pondering what it is that we are becoming as it is anything. Dean, thank you, and I’m sorry for your lost post. Yes, I am deeply grateful to have been received into the Orthodox Church. I also somewhat astonished, both at being allowed in and at God’s mercy that brought me to the point of wanting to be. As Fr. 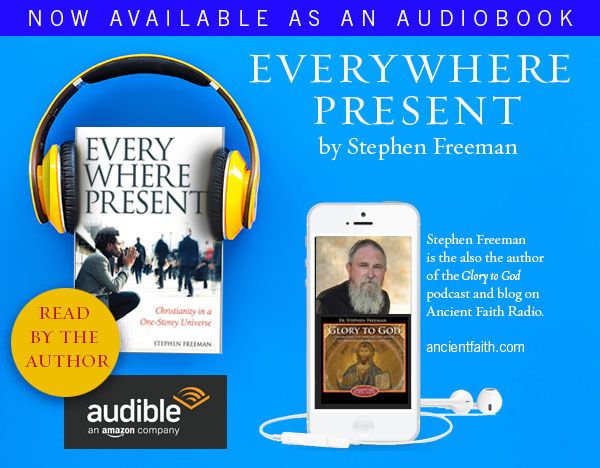 Stephen has explained on occasion, one of the powerful weapons in modernity’s war on humanity and on the Gospel is equivocation–using old, good words with altered meanings. Evangelicals, no doubt building on the work of earlier Protestants, have done this extensively with the words of Scripture and of theology. Thus as an Evangelical I read the same Bible as the Fathers (well, except for those OT books that Luther threw out) but in a language–with a redefined vocabulary–that gave it a different meaning. This is a terrible and insidious problem, warping my understanding from the roots up, placing me in the midst of delusions before I have any thought of trying to exercise discernment. My wife and I refer to it as carbon monoxide, satisfying the body’s desire to breathe while displacing the oxygen that sustains life. It reminds me of St. Irenaeus’s description of how the Gnostics used the Scriptures–like a man taking the tiles of a mosaic of a king, shuffling them, and putting them together into a picture of a fox. One of the words that particularly troubled me, even back then, was the word “relationship,” and so I was interested to see Fr. Stephen’s comments on it in this post. It appears to me that the real problem with the modern use of this word is that it attempts to create a category where none exists, to lump together realities so dissimilar that a category containing them all is meaningless–the category of “everything.” What I mean is this: I describe one man as my father, another as my brother, another as my king, another as my boss, another as my slave, another as an acquaintance, another as a stranger, another as a friend, another as an enemy. Each of these words usefully describes who someone is relative to me, each with significant implications about how I might love this man, honor this man, and be responsible to or for this man. I might in a vague and everyday sort of fashion describe all of these as “relationships,” because they describe who people are “relative” to me. The problem comes when someone begins to treat “relationships” as a genuine category, as a general reality of which all the examples above (father, brother, etc.) are only specific expressions. Why is this a problem? First, it encourages a kind of laziness. If God is my Father, that implies major responsibilities of obedience and honor on my part. If He is my Creator (and I the creature), that implies responsibilities of worship and thanksgiving. If He is my enemy (or, more accurately, I am His), that implies a need for repentance and forgiveness on my part. But if I have a relationship with Him, then…I can relax and go back to sleep, for a general “relationship” implies little and obliges nothing. Second, the generalizing of good, God-given facets of Creation into non-existent categories plays an important role in forming the modern world. For instance, it serves as a kind of rhetorical weapon, declaring equality between members of the category. Declaring snake handling, Islam, Swedenborgianism, and Orthodoxy to be expressions of the general category of “religions,” serves the rhetorical purpose of implying a strong commonality (and thus common irrelevance) between them. Also, general categories are potential fields of (pseudo-)scientific research. If “relationships” are a category, then people can make careers of “researching” them, writing about them, and making authoritative declarations about them. And the man in the street can cite such authorities to browbeat his friends and neighbors into “relating” to himself in a fashion more to his own liking. Thus I try to avoid the word “relationship” altogether, taking every temptation to use it as an invitation to think more clearly about what I am trying to say. Perhaps someone quoted this and I missed it. I hope not a duplicate. How can I forget somebody who has given me one of the best and most treasured gifts in my life! Like Dean, I am so happy you have found your way into the Orthodox Church, and with your family too. Thanks and Glory to God for that. I, for one, do not want a relationship with God. I seek union, every day. Indeed your ‘name’ suggests exactly what you say, that you seek union with God. May God grant that you always live in union with Him. Relationship to my mind is a bit like two paralell rails. An inter-relationship a bit better but as St. Paul tells us, the mystery of the Church is much deeper. Indeed, marriage is an icon of the conjugal interpenetration of creation and each human being by God Himself. Fully God and fully man. Frankly it is deeply frightening because it seems as if all I am will cease to be–swallowed up in incomprehensible love and glory obliterated. Apparently that is not so at least that is the testimony of the saints and the Ressurected Christ. Thank you for your prayers, Dee. Well said. No worries though about being swallowed up and ceasing to be, I think. If we look to the Trinity for an understanding of God’s love, we see that the paradox in fully alive – complete unity among 3 distinct Persons. We cannot comprehend how this can be, but what a wonderful promise we have been given – to be able to share in the Divine Life. In the OT laws of righteousness, specifically those about gleaning, it has struck me how important inefficiency is: Do not harvest to the edges of your field. Do not go over the field a second time. If you drop stalks of grain as you harvest them, do not pick them up. By such instructions the Lord provided for those in need. I imagine they also made gathering the harvest much more pleasant for the laborers in the fields–take the easiest part of the harvest, and call it a day. It makes me wonder if the drive for efficiency in the modern world is one of the ways we harm each other and distance ourselves from God. Thank you for your insight, Reid.